Last week I wrote a post on how to achieve a designer look using cushions to enhance a space, this week I wanted to touch on, what I consider is one of the most important features of good design, 'texture'. The easiest way to discuss the importance of texture is by analysing images from professionally designed spaces. I have chosen the work of Australian designer, Space, Grace & Style. I first discovered Rebecca's work on Houzz and love her unique way of juxtaposing different materials to create wonderfully textural rooms. 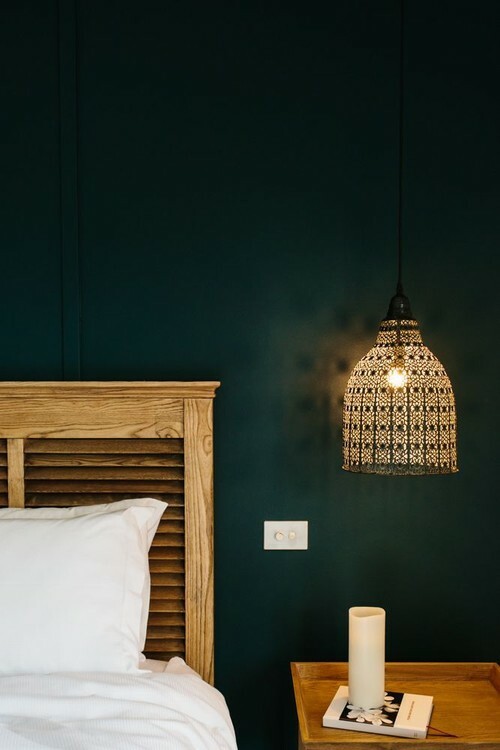 This post is not so much about using fabrics to introduce texture, but focuses on introducing texture by way of furnishing, lighting and decorative pieces. 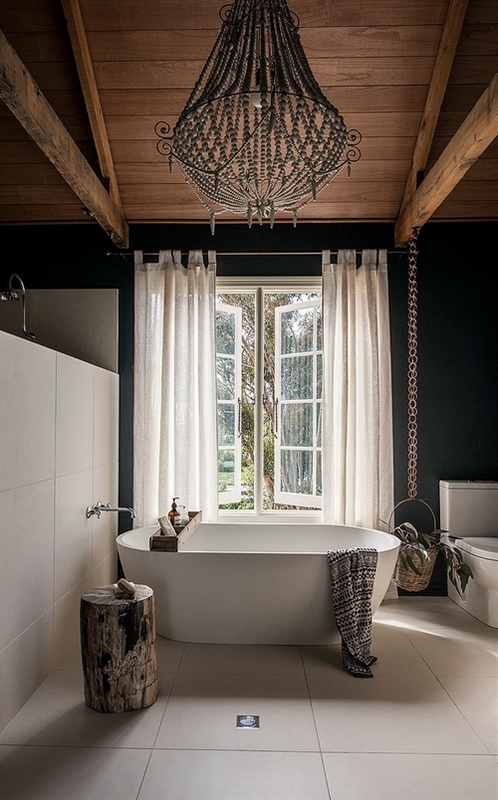 Above: This has to be one of my favourite bathrooms, the smooth curves of the white bath against the dark walls and rustic wooden ceiling, the contrasting texture and rawness of the wooden stool juxtaposed against the bath and of course the stunning, beaded chandelier. As you can see both rough and smooth textures have been used throughout and the careful placing of every item in this room gives a sense of perfect balance. I wasn't going to mention fabrics, however the sheer drapes framing the window soften and complete this space; Bathrooms can be beautiful in the most simplest of ways. 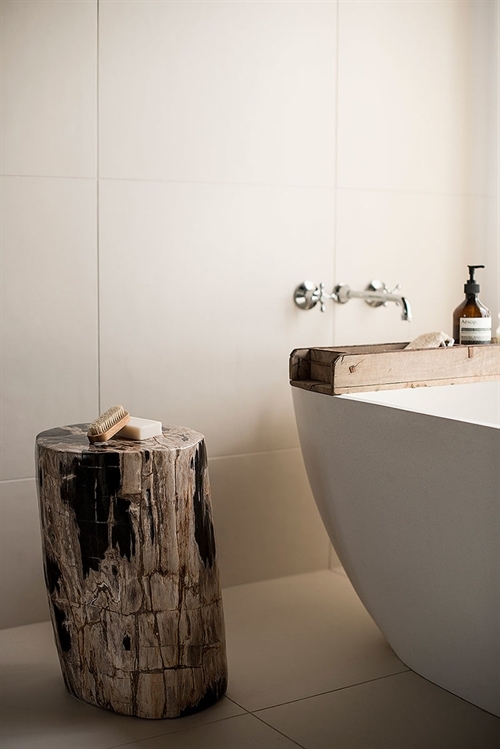 - Photography Nikole Ramsay, featured in Australian House and Garden December 2014. Above: This dining space screams texture, from the delicate and interesting chandelier to the chunky knitted look rug. The sliding carved door makes a fabulous statement. 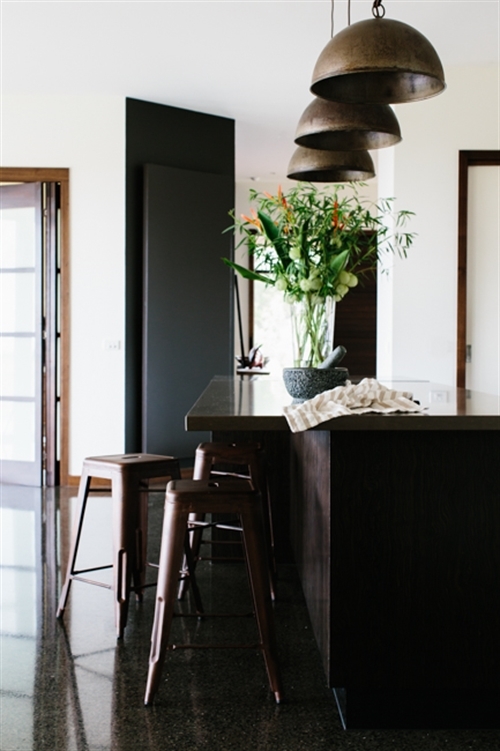 Wood, metal, rattan all come together to create the most interesting dining space. There is no need for fancy styling and lots of decorative pieces, the simplicity of the antlers is the icing on the cake. Above: This contemporary entryway not only uses the obvious in textures such as the wire framed chairs. If you look at the wall carefully you will see the paint or paper is mottled which gives a sense of more texture. The velvet striped bench seat adds contrast and the artwork has a textural appearance even though it is two dimensional. Texture doesn't have to necessarily mean 'tactile' you can have 'visual' textures that may be flat but patterns make them appear textured. Above: The detailed metal suspension lamp has lots of texture with the cut work. The dark, flat walls are striking against the crisp white bedlinen. The shutter style headboard adds further texture. Above: The simplicity of a door handle can add texture as seen in this contemporary iron handle. 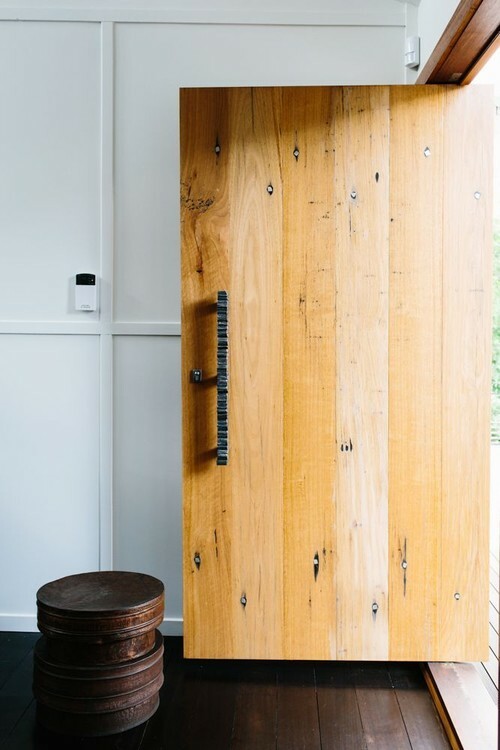 This takes a door from ordinary to fabulous, so remember to think of details such as these. 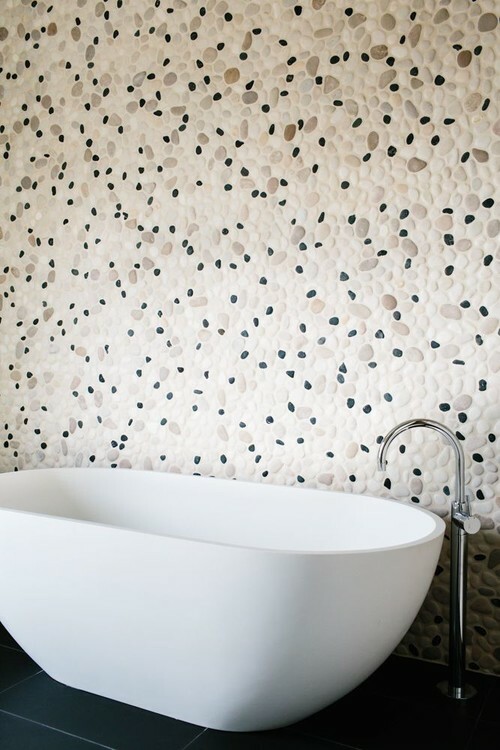 Above: Pebble textured walls juxtaposed against the smoothness of a white free standing bath, the small dark pebbles reflect the tones of the large tiles on the floor. I have only touched on a few aspects of the use of texture and plan to share some more posts. Meanwhile I hope that I have made you a little more aware of the importance of texture in good design and how you may be able to introduce some into your home. Space, Grace and Style design unique and beautiful spaces, so should you want the help of an interior designer and you love their style, you may like to visit their website to see more of their work. This is called perfect classic designs. House Design is an art of decorating dream houses.